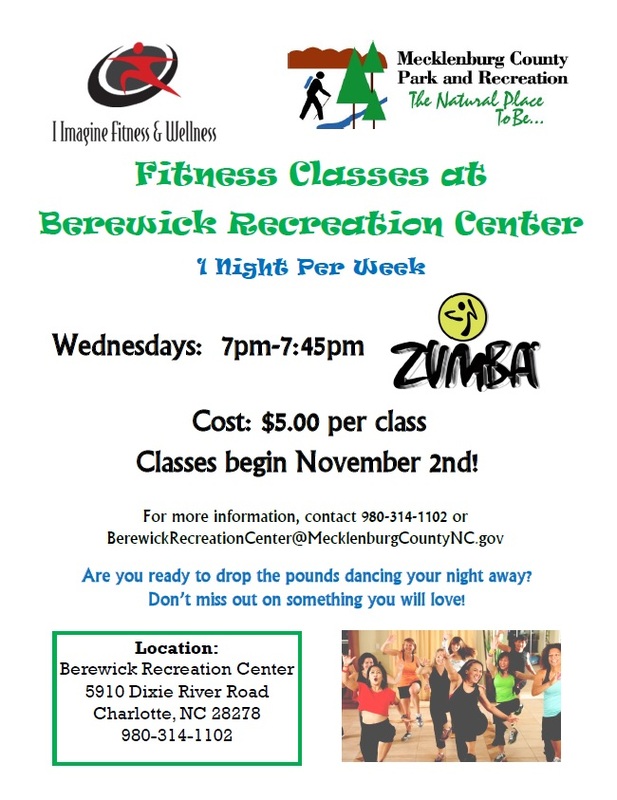 (December 2, 2016) The Berewick Recreation Center, located at Berewick Elementary School, 5910 Dixie River Road, is offering a variety of programs this winter. 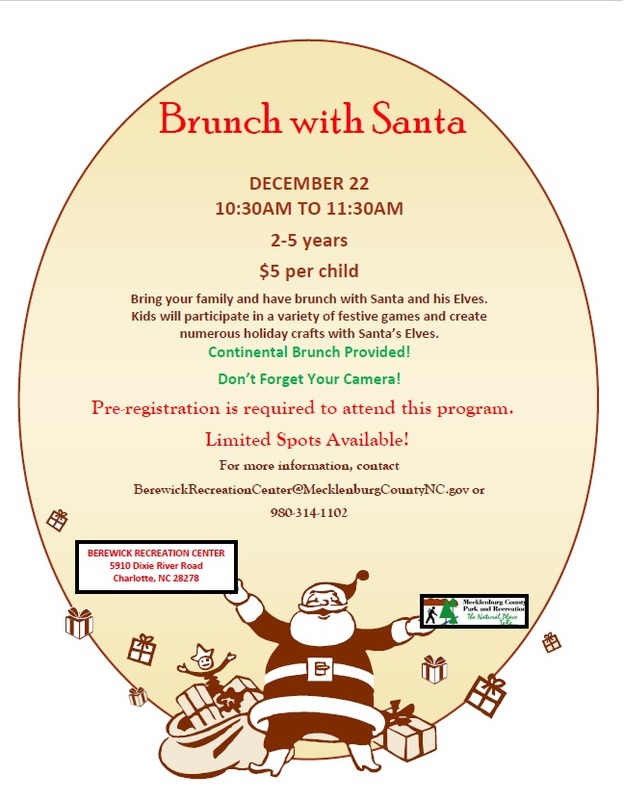 See the flyers below. 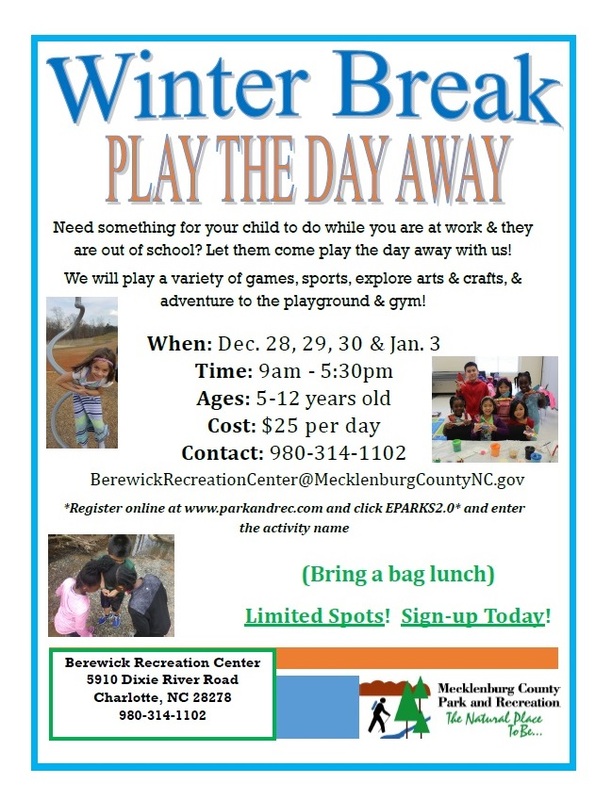 Contact the center at BerewickRecreationCenter@MecklenburgCountyNC.gov or 980-314-1102 with questions.